2. The material contained in this Website, and ‘pay to view’ Videos, is for information and training purposes only. The videos are intended for viewing by qualified manual practitioners and are for educational purposes only. They are not intended as a substitute for professional medical advice or treatment for specific medical conditions. The video contents are provided for reference only, and do not claim to be complete or exhaustive, or to be applicable to any particular individual’s medical condition. The author (Miranda Clayton) has no responsibility or liability for any errors or omissions in these videos, for the results obtained from their use, or for any damage or loss caused, or alleged to be caused, by reliance on the information contained. Your use and reliance on these videos or any other website content is at your sole risk. 3. To the extent permissible by law, we exclude all representations, warranties and conditions relating to this website. In no circumstances will we be liable for any loss or damage including without limitation, indirect or consequential loss or damage, or any loss or damage arising from loss of data or profits, arising out of, or in connection with, the use of this website or any of the material contained in it. 4. Nothing in these terms and conditions seeks to exclude or limit liability for death or personal injury caused by our negligence. 5. Any and all intellectual property rights contained in this website including, but not limited to, the name www.mumandbaby-at-home.com , or in any material on the website, are owned by us subject to the license set out in clause 6 below. 7. We may vary these terms and conditions from time to time by updating this page. 9. Unauthorised use of our website may give rise to a claim for damages. 10. This website may include links to other websites. These links are purely for your convenience and do not signify that we endorse the websites. We have no responsibility for the content of any linked website. You acknowledge and agree that www.mumandbaby-at-home.com / Miranda Clayton is not responsible for such sites and you access those at your own risks. 11. 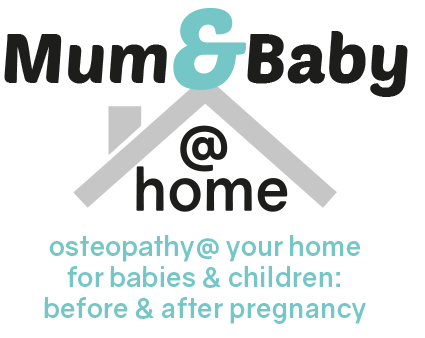 These terms and conditions constitute the entire agreement between you and www.mumandbaby-at-home.com / Miranda Clayton and govern your use of www.mumandbaby-at-home.com superseding any prior agreements between you and the website. Any failure by www.mumandbaby-at-home.com to exercise or enforce any right or provision of the conditions shall not constitute a waiver of such right or provision. If any provisions of the conditions is found by a court of competent jurisdiction to be invalid, the parties nevertheless agree that the court should endeavour to give effect to the parties’ intentions as reflected in the provision and the other provisions of the conditions remain in full force and effect. 13. These terms and conditions, and the use of our website, will be governed by and construed in accordance with English law and any disputes relating to it or the use of the information contained on it, will be subject to the exclusive jurisdiction of the courts of England and Wales. 14. There are additional terms and conditions covering any products supplied. See Video Sales Terms. 2. Improving products and services. 2. These Terms apply to all transactions on this Website. 3. You should read this document carefully before placing Your Order. Occasionally, we update these Terms. The Terms published on the Website at the time You place Your Order will apply, so You should read them each time You shop. 6. You can pay for Your Order by Visa, MasterCard, Delta/Connect, Switch or Amex. Due to fluctuations in exchange rates, We do accept payment made by credit or debit cards from foreign banks but payment will be charged in sterling. 8. Membership: To use the Mum and Baby Videos, you must register as a Member by providing a user name, password, and valid email address. You must provide complete registration information and notify us if your information changes. If you are a business, government, or non-profit entity, the person whose email address is associated with the account must have the authority to bind the entity to this agreement. You are responsible for all activity that occurs under your account, including any activity by authorized or unauthorized users. You must not allow others to use your account credentials and you must safeguard the confidentiality of those credentials. If you are using a computer that others have access to, you must log out of your account after using Our Service. If you become aware of an unauthorized access to your account, you must notify us immediately. 9. Cancellations/Refunds: All purchases are final and all fees paid are non-refundable. 10. Renewals: Subject to the terms hereof, you may choose to renew your Membership at the end of the subscription period (5 years) at no further cost to yourself. We reserve the right to deny membership, renewals, and other purchases for any reason. 11. Termination for Breach: We may delete your Membership if we consider that You have violated any provision of this agreement. There are lots of rights that the law says You have as a consumer. Clearly, We are happy to honour all of those rights, plus all those representations that are made about the Services on this Website. Other than that, We exclude all other warranties (express or implied) to the extent permissible by law. To the extent that we are liable for any breach of representation, Our liability to you is limited to the price You paid for the Services. Nothing in these terms and conditions seeks to exclude or limit Our liability for death or personal injury caused by Our negligence.